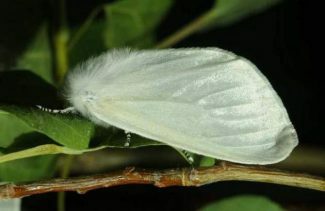 An increase in the white satin moth population this year has resulted in 200 acres of defoliated trees in Lake Tahoe Nevada State Park. 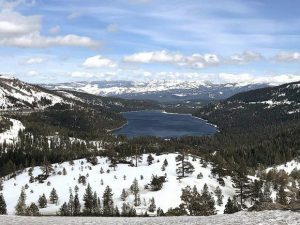 Sixty-seven acres of Lake Tahoe Nevada State Park have suffered heavy defoliation from white satin moths, according to the Nevada Division of Forestry. Surveys revealed 226 acres of infestation, ranging from minimal to heavy defoliation. Minimal defoliation was mapped on 52 acres, with moderate areas mapped on 107 acres. Results of the trapping indicate that populations are trending higher. The freezing temperatures in higher elevations are triggering the insects’ transition to its over-wintering stage, which results in lower trap numbers. The Tribune reported on increased defoliation due to a surge in the moth’s population in early August. In late August, the second hatch of larvae hit the area and sampling found high caterpillar numbers feeding in upper North Canyon, Marlette Lake and west of Hobart Lake. Bark and leaf samples showed 10-15 caterpillars per leaf, an extremely high number. It is anticipated that fall color will diminished this year, and populations will likely increase next year causing defoliation, tree stress and tree mortality. Moths in the more urban areas should not lead to any major defoliation since it requires more than individual landscape trees to flourish. Minimal defoliation may still occur. The state is researching the possibility of conducting a biological insecticide spray project next year to control the insect population within the park to minimize the infestation. Since this is a non-native invasive insect, native predators are not present in sufficient numbers to control the population. 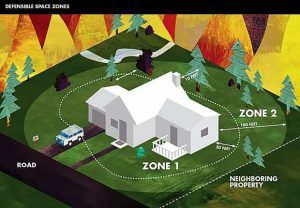 This type of project will require inter-agency cooperation and planning. For more information about the defoliation, infestation and future plans to control white satin moth populations, call 775-849-2500 ext. 241.